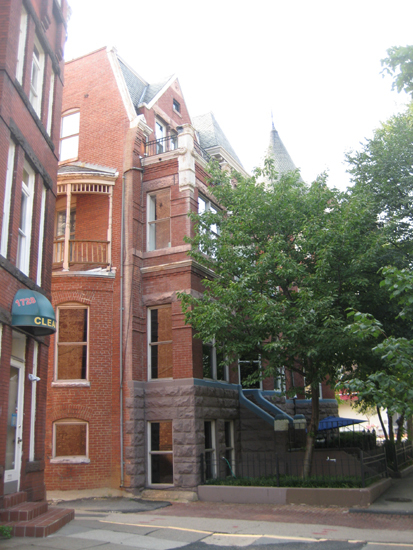 The 20th Street NW Side of the Dupont Circle Brownstone on 8/4/2009. Even with the interior studio lighting, the tinting on the windows was so dark that you couldn’t see anything in the Brownstone. Another view of the 20th Street NW Side. 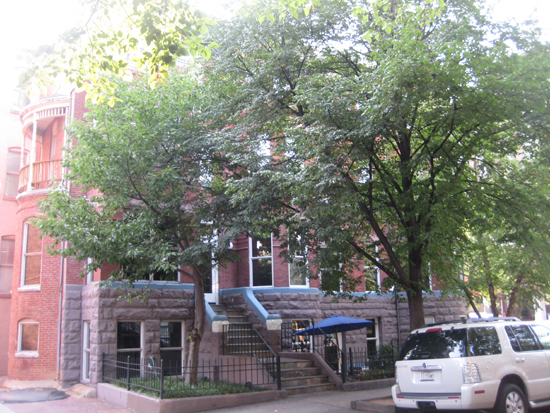 In this picture, you can see the entrance to the Alley from 20th Street NW.